Forgot the Administrator password to login to your Dell OptiPlex and want to change or delete it so that you can access the data on it? Here we collect 3 different ways to reset Dell OptiPlex 9020/755/760/745 administrator password as well as other types of passwords. In general, we would reinstall the operating system to regain the access to the computer when the login password was lost. Of course, this is the most direct way, but the data on it will be completely wiped. I suggest you not trying it unless you have no other choices. If possible, you can use password hint or previously-created password reset disk to help you. If neither of them is available, you can turn to other reliable third-party software to remove forgotten login password in Dell OptiPlex. It can guarantee the safety of your data. Now, let’s see how these three ways can help. When we are setting a password to protect our computer, we can choose to create a password hint such as our birthday, our favorite numbers, our lovely friend’s name, etc. If you have set one and it can remind you of the password, just follow the steps below to help regain the access to your Dell OptiPlex. Note: No password hint available? Or the password hint still can’t remind you of anything? Don’t worry. Try No.2 Way. When you type a wrong password in the Password box, “Password hint” will show under it. Click it and brainstorm to recall the password. When we are setting the account and password to protect the Dell OptiPlex, we will see an option “Create a password reset disk” on the left section (See the picture below). We can click it to create a password reset disk in case that we forget the password someday. If you did, you can use it to reset Dell OptiPlex password. With it, things will be much easier (Haven’t created the password reset disk? No.3 Way can help you). Casually type something in the Password section, and “Reset password” link will appear under it. Click it. When you see the Password Reset Wizard, follow its instructions to reset the password. Except for the two ways introduced above, you can also use third-party software to help you bypass the password. Windows Password Recovery Tool is a program worthy of a try. It supports to reset all kinds of account password on Windows 8.1/8/7/Vista/XP. Below are the detailed steps. Facilities You Need: Windows Password Recovery Tool, a blank CD/DVD or USB flash drive, a computer that you can log into. Free download Windows Password Recovery Tool and install it on the workable computer. Note: This software has four different versions: Standard, Professional, Enterprise, and Ultimate. Ultimate is the most powerful one. It can reset Microsoft account password as well as local user account password in Windows 10/8.1/8/7/Vista/XP. Run Windows Password Recovery Tool. Insert the CD/DVD/USB into the workable computer and specify the device to “Burn” to a bootable password reset disk. P.S. : 2 options can be used to create a bootable password reset disk: using default ISO image or using Advanced Recovery Wizard. For details, click here. When the burning finishes, you can insert the bootable disk into the USB port of the locked Dell OptiPlex desktop and set BIOS to boot it. Note: If you’re using Windows 7 and older versions or have installed Windows 8 on an existing computer that uses the legacy BIOS system, you can simply set the BIOS to boot from CD/DVD-ROM or set the BIOS to boot from USB drive. For the computer with Windows 8 preinstalled uses UEFI, you should disable UEFI Secure Boot firstly, and then access the BIOS in the traditional way. Then you can select the account you want from the accounts listed in the program and reset/remove the local account or domain password. These ways for Dell OptiPlex password reset are very convenient. They can be used on other laptops, notebooks and desktops as well. 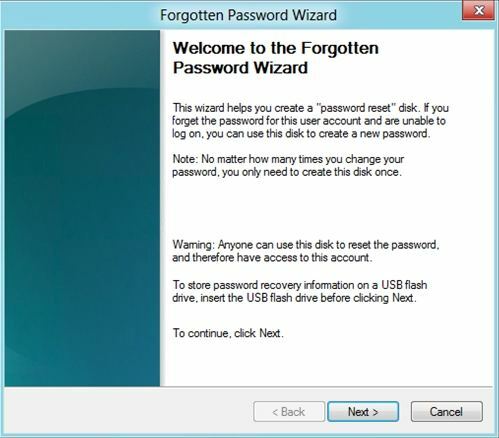 But no matter how convenient they are, windows password recovery tool is still a troublesome task. To make things simple, you should write down your PC’s login password in a safe place.